On this date in 1804, two known as John Setton/Sutton and James May were hanged at Greenville, Mississippi. 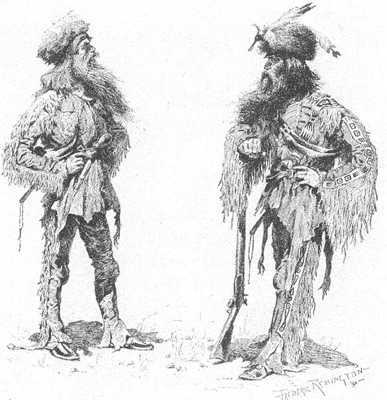 They were, in fact, Wiley “Little” Harpe and his outlaw partner Peter Alston — the survivors (well, up until then) of a notorious gang of Mississippi River pirates and frontier highwaymen. Their villainous coterie had plagued the Mississippi (river) and the proximate byways from Kentucky down to Mississippi (state), making a couple of spots on the great river legendary pirate hideouts in the process. With a price on the head of the notorious leader Samuel Mason, “Sutton” and “May” coldly murdered their captain to turn in his head for the reward. They got their reward alright. They were recognized as Mason’s own fellow-bandits, and themselves put on trial for piracy. This date’s hanging was not only the end of the Mason gang — it was the end of the Harpe Brothers. Heading west out of North Carolina after Revolutionary War service as Tory irregulars, the Harpes made for Knoxville, Tennessee, kidnapping wives for themselves along the way. When they were rousted out of their cabin on accusations of livestock-rustling in 1797, their notorious careers really began in earnest. This was, then, the extreme western frontier of the United States, and the Harpes were consequently able to plunder in wilderness impunity. And they slew with a frequency and savagery far in excess of the professional demands of a bush robber. TruTV also has an account of them sending a hijacked flatboat passenger over a cliff, and bashing a little girl’s head in against the side of a bridge. “They murdered all classes and sexes, without distinction,” a Knoxville man* recounted years later, “not for plunder but for the love of shedding human blood.” We don’t have Little Harpe’s conscience on the record, but Big Harpe would only express remorse for one of his dozens of homicides: smashing his own infant child against a tree to make it stop crying. That sentiment would come at the end, when Big Harpe had been cornered by a posse after murdering a frontier woman. The widower in that posse halved the Harpe menace by hewing Big Harpe’s head from his shoulders. For generations after the subsequent roosting-spot of this deathly visage — presented to a justice of the peace to verify the man’s death (and pocket the price on his literal head), then hung up for public display by the intersection of Morgenfield, Henderson, and Maidensville Roads in Union County — was known as Harpe’s Head. Little Harpe’s subsequent career with Sam Mason and his own violent demise capped the Harpe brothers’ nefarious legacy. Their name was so infamous that many of their family changed it … including, according to rumor, the ancestors of legendary Wild West lawman Wyatt Earp.